Tokyo! I am happy living in Osaka, but I still miss the capital city. 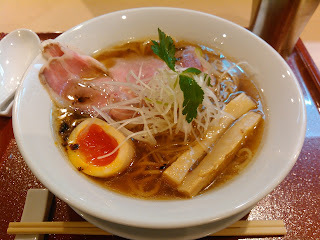 On my trip this time I made sure to hit a couple of shops, starting with conveniently located chuka soba shop Kiraku. In an old diner-looking restaurant I ordered the wonton noodles. This was a simple shoyu; clear brown, and light, if covered with a scalding layer of thin oil. There were plenty of veggies mixed in: bean sprouts, cabbage, and I think I tasted a hint of fried garlic. The noodles were thick, short ropes, and despite the broth being pretty thin, they matched the saltiness quite nicely. The chashu were tough slices of Chinese-style pork, and the wonton was a sweet interlude. 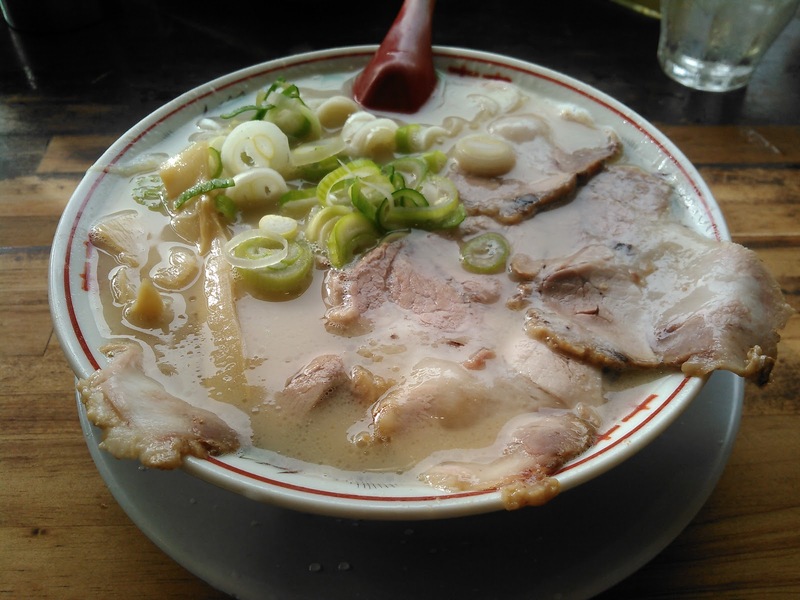 This was a good bowl, but I still have so many bowls to try in Shibuya, let alone all of Tokyo. Anyone wanting an old-school bowl that won't leave you in pain, check it out. Every once in a while a bowl from Tokyo makes it down to Kansai. 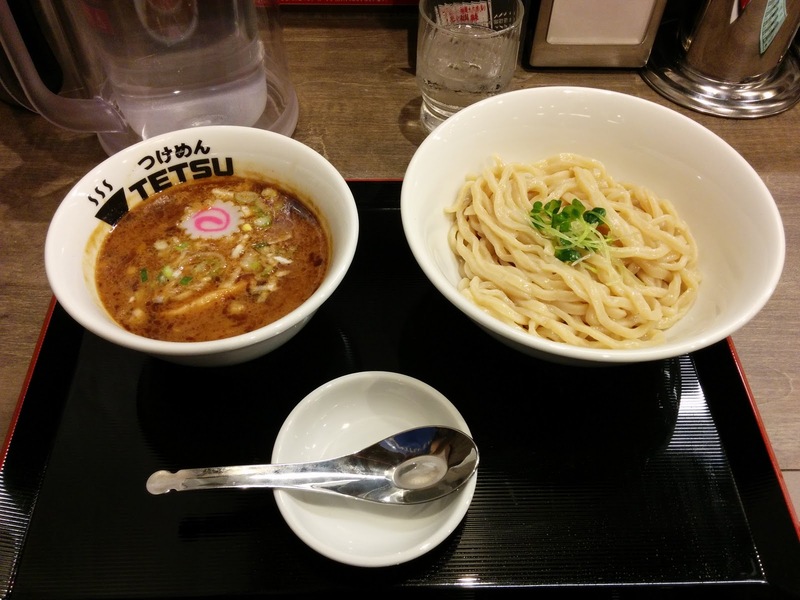 In the Hankyu Sanbangai food court, a tsukemen chain from Tokyo opened up: Tsukemen TETSU. I couldn't make it on the opening day, but just the day after I showed up to try their tsukemen. This was some Tokyo style gyokai tonkotsu tsukemen, through and through. 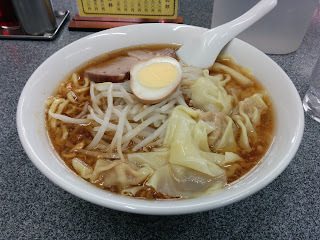 There are plenty of good bowls in Osaka but sometimes it's good to try one more heavily influenced from the birthplace. 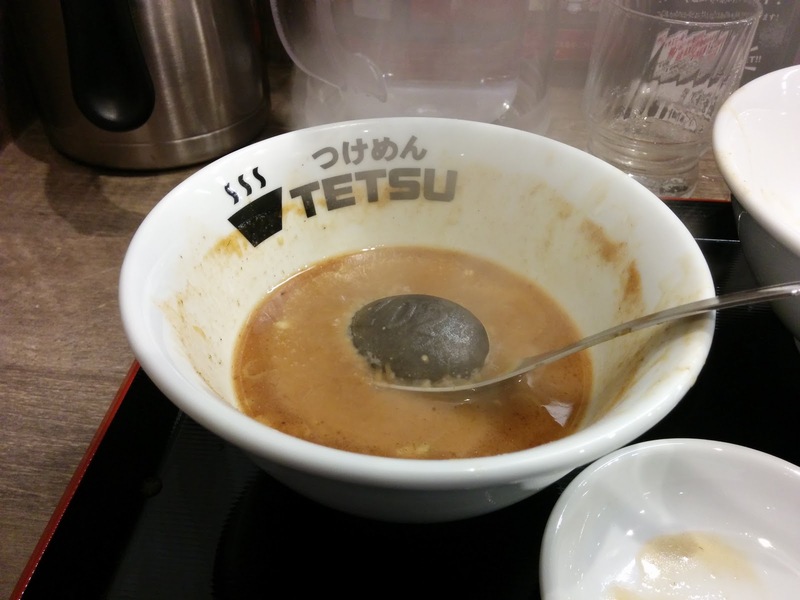 TETSU's broth was rich and fishy; not quite as thick nor as sweet as other similar bowls. The fat noodles sparkled in the underground mall's light. 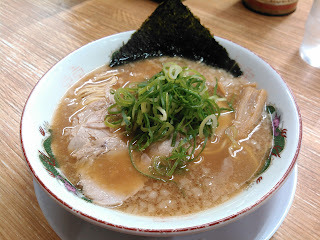 A thick piece of chashu bobbed up and down in the soup, but overall its taste was overtaken by the broth. 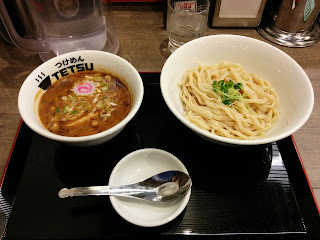 TETSU was solid, but with so many other tsukemen options around, I don't see myself making another trip. This is a good option if you're feeling tsukemen while browsing the Umeda food court. Continuing on my first trip to Ichijoji, I finished my hike and was ready for dinner, i.e. round two. My second shop was Ichijoji staple Takayasu. 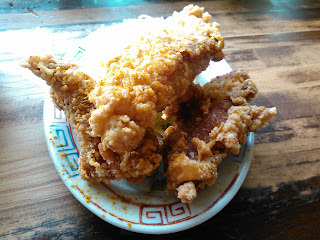 Takayasu is known for their tonkotsu ramen but perhaps even more than that for their gigantic pieces of karaage. Even though I wasn't that hungry, I found myself ordering a set that came with both. The broth was a greasy, stinky tonktosu. It was messy and salty, and pretty delicious if a bit generic. Eating the thin noodles without sipping too much of the soup cut out enough of the salt to make it more palatable. The karaage were big, hulking chunks of chicken with fresh, crispy skin. The pieces were coated in curry powder, and though the inside was a bit dry, overall they were quite good. Yeah, especially when if I'm very hungry. I recommend it for those who are hungry; I hear students enjoy this place because of how cheap it is to stay full for days. One area I had been meaning to go for ramen since I first moved to Osaka was Ichijoji. Ichijoji is a small area in northern Kyoto city that is famous for not much outside of ramen. My plan was to visit one shop, go for a hike, and then make another stop at another shop. 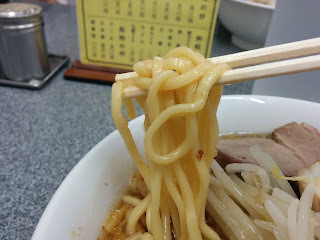 With that in mind, I picked somewhere pretty digestible at first: chuka soba shop Chinyu. This was kind of similar to another Kyoto bowl I had recently, Shinpuku Saikan. It was a classic chuka soba, but where Shinpuku Saikan had a dark broth, Chinyu's was a cloudier chicken broth, with the same amount of pork back fat floating in it. 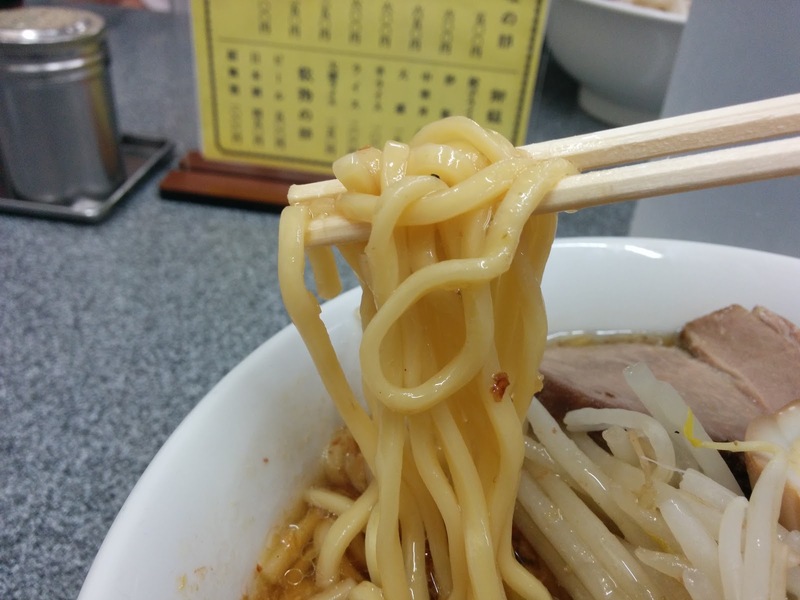 It was simple, with standard chashu and firm noodles: a nice foundation on which to go hiking. I wouldn't trek all the way out to Ichijoji for it, but I think they have other shops I would consider stopping in. 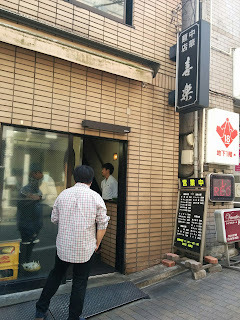 If you're looking for a sessionable bowl in Ichijoji, this place might be for you.